Recommended for: Fans of chill, laid back music. Not recommended for: Those who enjoy upbeat dance tracks. 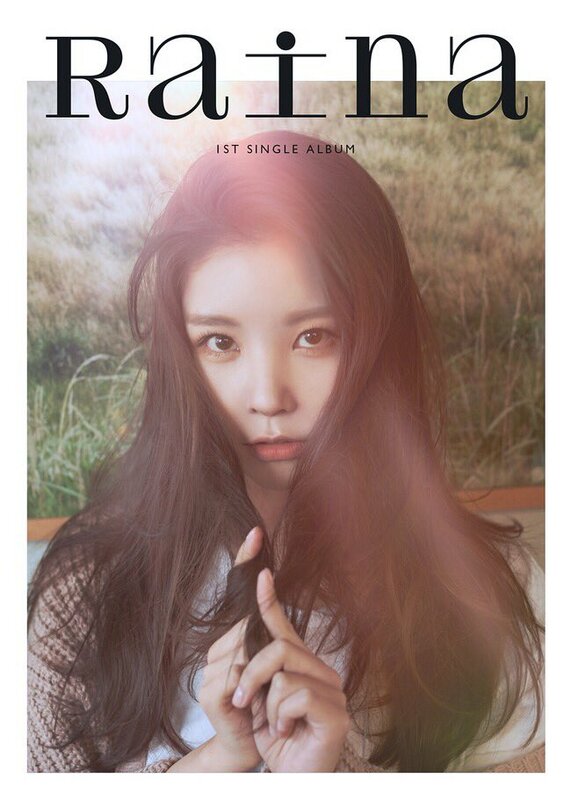 After School’s main vocalist Raina makes her long-awaited solo comeback with her 1st single album Loop. She returns with three songs perfect for the summer and spring. The title track features fellow label mate NU’EST’s Aron as a rapper, contrasting with Raina’s lovely vocals. This track, as well as the whole album, seems to be a great fit for spring. However, it is also perfect to listen to during the cool nights in the summer. The use of piano during the verses alongside the clicking sounds found in the instrumental make the song flow better. This feeling is emphasized with Raina’s sweet vocals, she sounds so calming that you can’t help but to feel at peace when listening to her. The chorus is as just as strong as the verses if not stronger. The instrumental ramps up a bit in order to create excitement but Raina’s vocals remain the focal point, as they should. My favourite part of the whole song is from 1:17, the repetition is fitting of a song titled loop but also helps the song to become catchier. Aron’s rap section offers a nice instrumental change and his rap tone really suits the overall tone of the song. The contract between Aron’s suave rapping and Raina’s soothing ad-lib make for a very pleasurable experience. Moving on to the music video, it is absolutely adorable portraying Aron and Rain trying out different types of dates. The use of bright colours and cute expressions are offset with the quirky use of multiple Aron and Raina’s making the music video fun to watch. The lyrics reflect that sometimes lovers want more than the stereotypical eating out or going to the movies and having spontaneous moments can be good. This is a solid release, Raina sounds amazing and Aron’s rap compliments both Raina and the song quite well. The song is both relaxing and catchy creating that instant replayability factor. My only issue with the song is that it sounds like more of a spring release than a summer release to me, but that’s a very minor issue. Your Day continues the relaxed tone of the title track. Her voice in the verses remain smooth and easy to listen to, whilst the instrumental gives off coffee shop vibes. The beat manages to remain upbeat and pleasing, but still, reflects Raina’s almost mellow vocals. Despite this the chorus remains the best part of the song, it flows really well and is chill from start to finish. The use of the piano towards the end highlighted Raina’s vocals well and helped the song to end well. Your day is a perfect track to listen to during a calm car drive or snuggling in a bed. It’s soothing but not sleep inducing, both Raina’s voice and the instrumental retain your focus. However, towards the end it does start to get a bit derivative, a rap section would have been a good choice to prevent it from being too formulaic. Finally, we have the uplifting Treat You Better, my favourite track on the album. The clicking beat used during the verses creates a nice sense of rhythm as well as complementing Raina’s vocals. The best part of the song is the chorus where Raina cheerfully repeats ”treat you better to better” to a cheerful beat.The song is memorable due to its catchiness, but also due to the distinct differences between the verses and chorus. The verses have more of a mellow beat and Raina’s vocals are also relaxed, whilst the beat and the vocals are more uplifting. This is a lovely b-side and has the most summer feel out of all the tracks. It has a really strong energy that calls for it to be replayed again and again.